1)Inertial-based(6DOF IMU) self-stabilization system.Good for AV/AP applications,but not suitable for acrobatics flights. 3)ARTF,no extra settings needed.Put on the props,the battery and the RX,then turn on the Tx to take off ! 1).Auto Barometer-based altitude hold if no throttle input changed in 2s..
2)X and Corss flight modes available.Only Cross mode was available in the beginning.But new improvements for the X mode had been tested successfully. 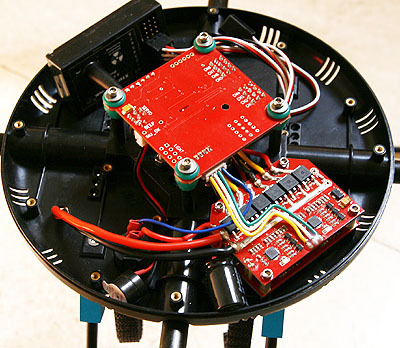 3)Optional single axis camera mount(pitch) with double axis self-stabilization(pitch and roll). 4)Larger MTM distance(580mm),larger payload (<580g),and longer flight time(25 mins with 3S Battery).Special props offered by the manufacture. 1)Optional GPS position hold(The GPS module still in internal testing, not included in this kit). 2)Buzzer warning for low battery,and optional lights for night flight(The interfaces are available,but soldering should be done before coming out of the factory according to the demands of the costomers.In order to avoid some trouble of making the hardware easy to be damaged). 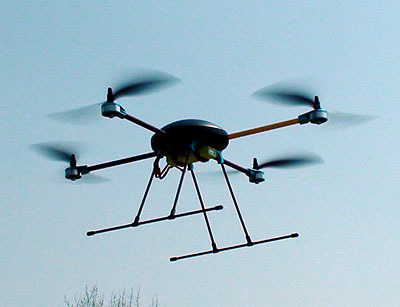 3)Other features considering to be supported in the future:Configuration Software available and Firmware upgradable. 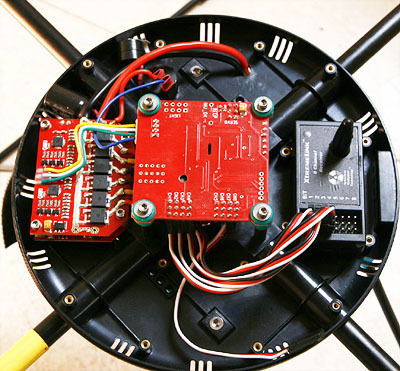 *This is the ARTF kit, basically speaking, you only need a receiver and transmitter to get it ready for flying. 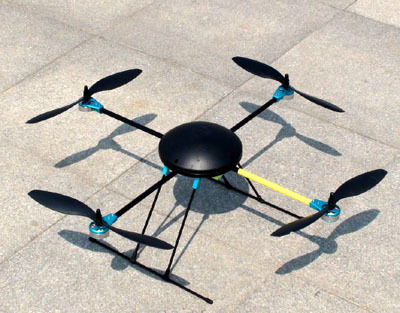 1x Pre-installed aircraft main body, including brushless ESC, flight control panel, motor. 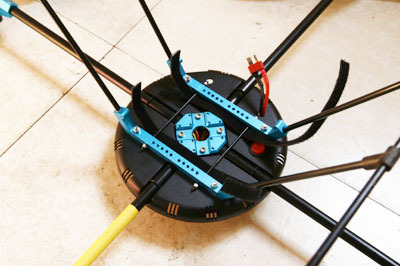 1x pre-installed stands unit, including 4 fixed nuts. 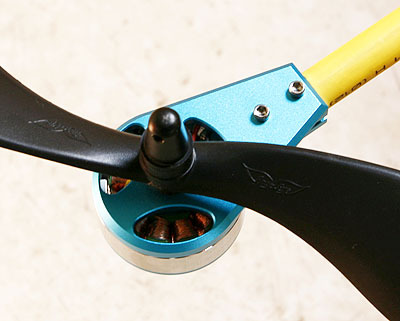 3x pairs of special propellers in positive and negative. * Pan & tilt for camera is not included. Discussion: on-going discussion on rcgroups.